Story Mode is thrilling and entertaining. Infinity Ward finally moves from the WWII scene and hits the modern battlefield! It took Infinity Ward three games to realize it, but they finally did. WWII is old news! It's been done too many times. 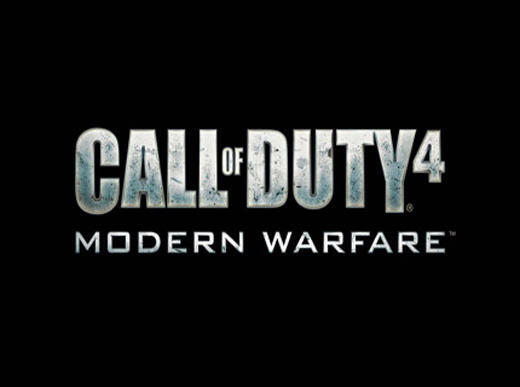 In Call of Duty 4: Modern Warfare you're shot right in the middle of a fictional war in which you play as a British S.A.S. Operative and a U.S. Marine. The first thing you're going to do in this game is its story mode. The story mode is very entertaining (which is a plus) and will keep you wanting to play more and more. Unfortunately, at one point, you can no longer play more, sadly that point will come a lot quicker than it should. The story mode is probably the greatest aspect to the game as well as its greatest flaw. For the average first person shooter player, i'd say you're only going to get about 4-5 hours of game play. This lack of game play is made up for though, in the game's online multiplayer. You can play anywhere from 1-1 to a full out 18 player game. There are the standard game modes such as Team Deathmatch and Free-for-All. Then there are other more entertaining modes such as Search and Destroy (one of my personal favorites) in which your goal is to either plant a bomb in one of two targeted areas or defend those two areas. Then there's Headquarters in which you must capture a designated area and control it for points. One of the more interesting game modes i noticed was Cage Match, which is a 1 vs 1 match in which yourself and an opponent will duke it out alone. One of the biggest Questions you all have is probably, "Well what about the controls, are they hard to learn?" No worries they've taken care of that! The game starts you off with a bit of a training session. One of your soon to be squad mates, Gaz, teaches you the basics of combat (Firing weapon, reloading, using your knife, etc.). Still feel you're not ready to go out into combat with that knowledge? Don't worry! Just after this your captain, Captain Price, has you run a nice little course testing every skill you'll need in combat. Even with all this though, i'd say you won't feel 100% comfortable with this until you've played through a few missions. While playing either online multiplayer or story mode, you're going to notice the outstanding sound and visuals that this game contains. They are the most realistic and lifelike, making this game stand out amongst all the other modern shooters currently out. Overall, this game is a must buy. It is one of those games that you will buy and refuse to ever get rid of.